There is a lot of hype around silk pillowcases and their touted benefits, which include wrinkle prevention/reduction, increased skin moisturization, and reduced hair breakage. While I can't speak to wrinkle-reducing results, I love the feel of a silk pillowcase; it stays cool to the touch and makes a night's sleep a little more luxe. Lily Silk's 19 Momme Mulberry Silk Pillowcase is OEKO-Tex Certified; $32 for queen. 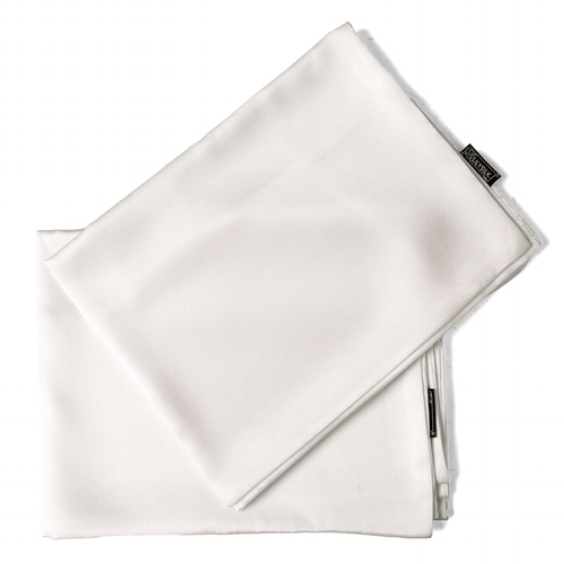 Spasilk 100% Silk Pillowcase; $24 for queen. Elizabeth Few's Leizu collection features silk pillowcases hand dyed with flowers and natural pigments, resulting in beautiful, one-of-a-kind pieces. Seeded Eucalyptus (above) and Carnation/Chrysanthemum (below); $180. Slip’s Silk Pillowcase is made from mulberry silk; $79 for queen.